Brandel Chamblee had some harsh words for Brooks Koepka over his recent weight loss. Brandel Chamblee has never been one to pull punches, and he was in mid-season form Tuesday night when he harshly criticized Brooks Koepka for his recent dramatic weight loss, suggesting that the Tour star lost the weight for a magazine photo shoot. In an appearance on Golf Channel, Chamblee and his fellow commentators were previewing the Masters when the topic of three-time major champion Brooks Koepka arose. When assessing Koepka’s chances at the Masters this week, Chamblee first noted Koepka’s stellar play last summer, when he won his second-straight U.S. Open at Shinnecock Hills and then backed it up with a victory at the PGA Championship. You don’t just throw out terms like “reckless self-sabotage” on TV unless you mean it, and clearly Chamblee does mean what he’s saying. So what’s all the fuss about? Koepka is known for his athletic, linebacker-type build. His strength is one of his greatest advantages, and he has built a reputation as one of the longest players on Tour. But back in March, Koepka revealed that he intentionally lost 24 pounds over four months, dropping to 190 lbs in total. That’s a scary quote coming from a man who dominated pro golf less than a year ago. Since Koepka’s weight loss was intentional, it naturally begs the question: why? That would also explain the genuine disgust in Chamblee’s voice during his exhortation of the Tour star. We’ll have to wait and see if Koepka does indeed appear in The Body Issue. If he does, he won’t be the first golfer to do so. Greg Norman, Gary Player and Suzann Pettersen are among those who took it all off for the magazine in the past. If Koepka does grace the pages of ESPN, there’s little doubt that Chamblee will have a lot more to say on the topic, especially if Koepka’s play continues to decline. Though he finished T2 at the Honda Classic, his last three finishes on Tour have been MC, T56, T56. 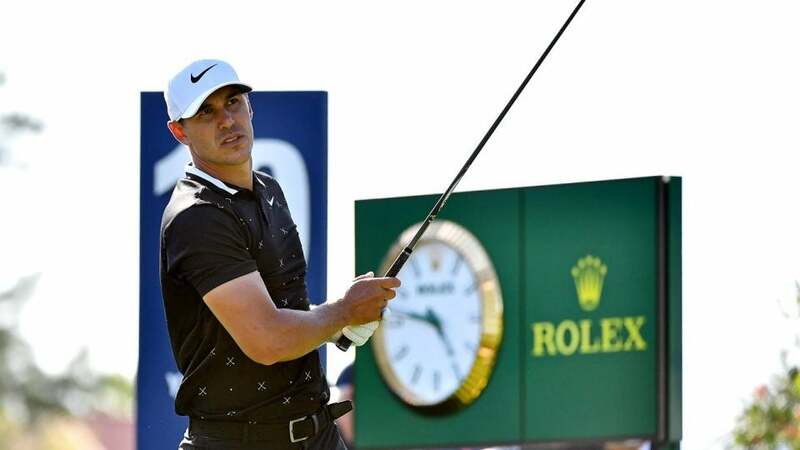 Koepka tees off for the first round of the 2019 Masters Thursday at 2:00 p.m. ET alongside Jordan Spieth and Paul Casey. You can check out a clip of the Chamblee’s rant below.